Jonathan Gold joins host Evan Kleiman every week on Good Food. This week he reviews The Dining Room at the Langham. Zane Lamprey tells us what its like to drink for a living. The future of school bake sales is in jeopardy says Helena Echlin. Laura Wright reveals the astonishing amount of food wasted every day. Fisherman Mark Marhefka explains what a community supported fishery is. The New York Times' Kim Severson tells us about the chefs that influenced her. Plus Mira Advani Honeycutt introduces us to Indian wine. 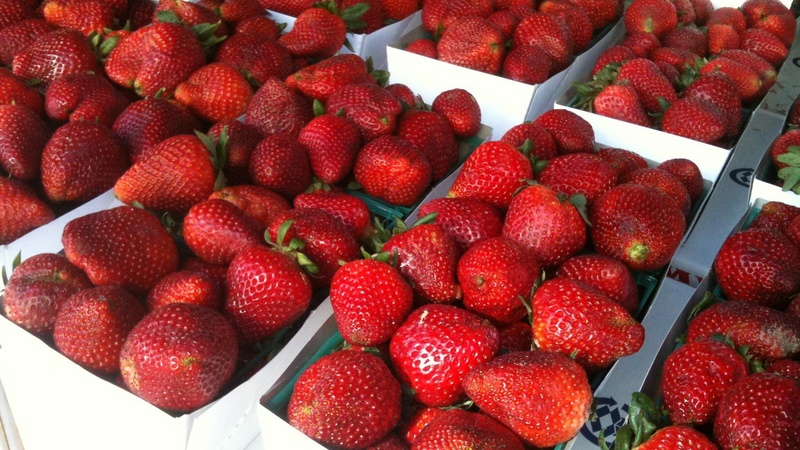 And Laura Avery has what's fresh at the Santa Monica Farmers Market this week. She talks to David Karp who issues a challenge to strawberry growers. Zane Lamprey is the host of Three Sheets on the Travel Channel. He's currently on tour and will be appearing at the House of Blues in Anaheim on April 30.